This plane flew one mission with the 376 on March 13, 1943. It is believed that she was 41-24025, which was assigned to the 93rd Bomb Group. 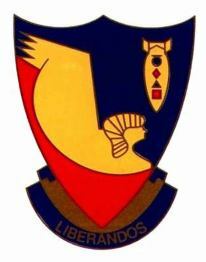 The 93rd was stationed in England, but as TDYed to North Africa in December 1942. The 93rd remained in North Africa until the end of February 1943. It is believed that 41-24025 was assigned to the 376 to fly the one mission, and then returned to England with the rest of the 93rd, She was then lost on March 31, 1943.